I am wondering if I should replace Street Wraith with Maximize Velocity . The wraith is a dead card a lot of the time. Street Wraith is really good for an explosive start and gets Hollow One out fast. 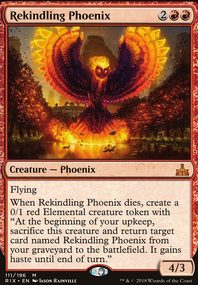 But late game I really just need to get to 4/x to bring out Flamewake Phoenix and its friends. I'd suggest Magus of the Bazaar over Jace's Archivist, it's unusual to see this sort of deck without some form of recurring creature, you could use Flamewake Phoenix or Haunted Dead, which also doubles as a discard outlet. Another possibility is cards like Reforge the Soul and Wheel of Fate which force both players to discard and draw, though this isn't without risks since a lot of modern decks leverage the graveyard. Hope this is of some help, have fun brewing your deck. Another possible one is Flamewake Phoenix. Are you going for a typical heavy burn deck? Perhaps using Grapeshot? Because you could run bois like Kiln Fiend who will grow so quickly that you can return Flamewake Phoenix almost constantly. I was toying with Nullhide Ferox or even Carnage Tyrant but that just was a bit much. Thrun, the Last Troll is there for U/W Control match-ups. 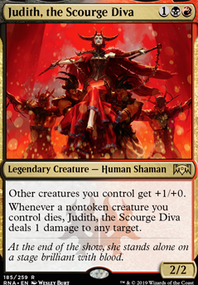 They typically have enough mana to pay and path Nullhide Ferox or just outright counter it. Plus the "I can't play 2/3 of my deck" doesn't seem good enough. I see where it could be good against discard decks but I think I'd prefer Obstinate Baloth there for the life gain. Nullhide Ferox just dies the turn after it comes in. I think it would be OK against Hollow One because they have very limited removal for it. They could also just chump it with Flamewake Phoenix though. 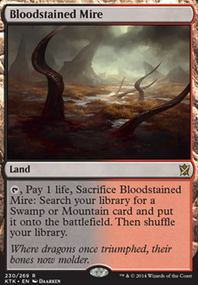 That's what made me consider Carnage Tyrant but that doesn't have the discard-proof portion of Nullhide Ferox. It's an awkward slot because Thrun, the Last Troll doesn't do anything against Hollow one or discard (outside of regenerate at least). 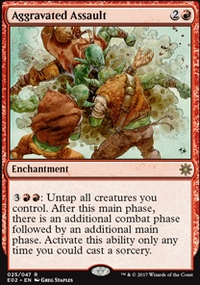 As for Nihil Spellbomb v Grafdigger's Cage; I think it does better against dredge/KCI because it gets rid of the cards they can return to hand which Grafdigger's Cage doesn't. 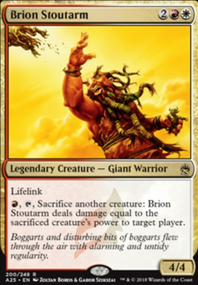 Grafdigger's Cage is best against Kitchen Finks and Vizier of Remedies decks, which aren't really a part of the meta right now. I guess it's good against Bant Spirits decks but I'll take my chances with Thoughtseize. Higin317 if Bedlam Reveler had 4 power upfront I would agree, but I feel like consistently playing out cantrips and a discard spells or 2 makes getting the phoenix(s) back a lot more reasonable, they can also block which helps when you're already burning your life total down so quickly to fuel shadows. 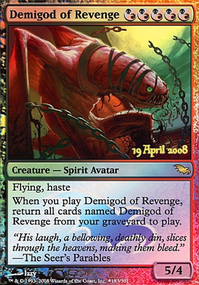 Flamewake Phoenix plays better with free Hollow Ones or a Gurmag Angler, which is more purely aggressive than the disruptive elements this deck is using to then close the game with a few big swings. Thanks for the suggestion! I like the Deck as a whole. 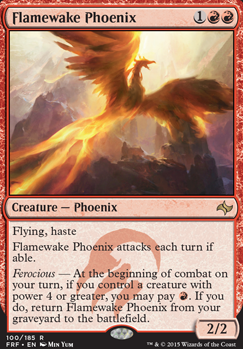 But I personally think that Flamewake Phoenix would be easier to utilize than the Arclight Phoenix.